This IoT Summit is designed to help executive level hardware innovators, from startups to established companies to better understand market trends and how to position for growth. Parks Associates is currently looking for speakers to address the changing landscape for product development, trends and challenges associated with new innovations, and how these changes are impacting the market. Through 2020, more than 442 million connected devices will be sold in the U.S. These products offer new value propositions and provide convenience, time and energy savings, security, and peace of mind to the end users. IoT connected products also provide opportunities for device manufacturers to develop new value-added services, strengthen relationships with their customers, and gain new recurring revenue. This session brings together industry executives to discuss the challenges, barriers, and opportunities for the consumer technology markets as connectivity becomes a standardized offering. Chuck Sabin, Senior Director, Business Strategy and Planning, Bluetooth SIG, Inc. When product companies incorporate IoT connectivity into their products, a new frontier of customer engagement is suddenly possible. The IoT is changing the way in which device and appliance manufacturers develop and manage their products and expanding their ability to interact with consumers throughout the product lifecycle. This session addresses trends, implications for customers and product usage, and potential engagement opportunities. Cloud functionality enables a device to act more like a dynamically evolving service than a single fixed product. 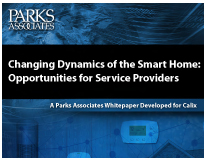 This session examines the evolution of business strategies for the connected home and the necessary shift from one-off sales to product management through a cloud-based ecosystem that delivers multiple benefits to product makers and consumers. The IoT and ubiquitous connectivity are driving the need for additional support for the connected consumer and changing the need from fixing “breaks” to protecting and enhancing the complete user experience. This session outlines ways in which product evolution is changing customer relationships with their providers and manufacturers and why managing customer experiences is critical for brand success. Ganesh Swaminathan, Director, Product Management, Qualcomm Technologies, Inc. The “Internet of Things” has entered the public consciousness, even if consumers can’t easily define it. Advancements in voice and artificial intelligence (AI) are driving consumer interest, reducing friction, and creating a more seamless user experience. Consequently, consumers expect out-of-the box interoperability and personalized benefits. In this session, industry experts discuss technology changes impacting consumer products and how IoT innovations will meet the growing expectations of the connected consumer. David Foote is currently CTO of the Hitachi division responsible for telecom and networking products in the Americas. He is responsible for strategic product planning and technology strategy of home networking, M2M, optical transport and cellular systems. He has been instrumental in establishing Hitachi’s business with major North American service providers like AT&T, Global Crossing, Metro PCS, Sprint, Time Warner and T-Mobile. Mr. Foote has been a contributor, and committee chairman in leading standards organizations such as ANSI T1, ATIS, MPLS Forum, IEEE 802, IETF, OIF and SCTE. He is an invited speaker and paper author to various industry trade shows and symposiums and has recently presented in several venues on connected home and M2M technology and market trends. Before joining Hitachi, he served as a decorated communications engineering officer in the U.S. Air Force responsible for network design and implementation of various secure telecom and packet data networks including ARPAnet/MILnet. Mr. Foote received a B.S.E.E. from Georgia Tech and a Masters degree in Management from Webster University/Air Force Institute of Technology. Jim leads all Delos’ technology efforts, including the continued integration of Delos wellness-based algorithms across technology platforms for residential and commercial environments to help people be well in spaces where they live, work, sleep and play. Prior to joining Delos, Jim provided oversight for technology, architecture and innovation at Greenwave Systems, led Motorola/Google’s architecture and strategy for driving the future of the smart home and shaped a powerful standards based platform as the Founder and Chief Architect of 4Home, Inc.
Jim began his technology career as a nuclear engineer and master training specialist serving in the US Navy, earning numerous awards and certifications. Today, he is an internationally-recognized thought leader, inventor and speaker on all things IoT, Security, AI and Future societies at global events like CES, WebSummit, Collision and IoT World. Jim actively contributes published articles in leading tech publications such as TechCrunch and VentureBeat. Hunter was recognized by Inc. as a Top 20 IoT Leader for 2017 and continues to lead IoT innovation and evangelize his vision to reduce the friction between man and machine around the world. Personally, he has published a SciFi series based on the Singularity entitled ReCollection. Francois is the Founder and CEO of iotaBEAM, an IoT security start-up for low complexity endpoints. Francois brings with him more than 25 years of senior executive experience, starting and developing business globally for Silicon Valley wireless and networking startups and public companies. Prior to iotaBEAM, he held Global Sales and Business Development executive positions at AOptix Technologies, Network Equipment Technologies, Inc. (NYSE: NWK, acquired by Sonus in 2012), where he was also a Corporate Officer, Tropos Networks (acquired by ABB), and Aperto Networks (acquired by Tranzeo). Prior to Aperto, Francois was at 3Com Corp. (NASDAQ: COMS, acquired by HPE) managing the $250 million/year WAN Access Products Business Unit. He came to 3Com via its acquisition of startup OnStream Networks, Francois graduated from Stanford University, Graduate School of Business (Stanford GSB) with an MBA and holds an MS in Structural Engineering from the National Institute of Applied Sciences in Lyons, France (INSA-Lyon). Francois is also fluent in French and Spanish, grew up in Europe with Asian cultural roots. He lived in Europe, North Africa and South America before settling in the Bay Area. He lives in Palo Alto, California, and his second home is in Isla Mujeres, Mexico. Mike Miller, VP, Communications, OnProcess Technologies, Inc.
Mike brings two decades of communications consulting and service delivery expertise to OnProcess Technology. As head of account management, he ensures OnProcess teams provide exceptional managed services and outcomes for clients throughout the U.S. Mike’s previous experience includes leadership roles at pureIntegration, Sprint Nextel and PricewaterhouseCoopers. He is a graduate of American University’s Kogod School of Business. Todd Mozer is President and CEO of Sensory, which has played a pioneering role in bringing speech recognition into consumer products over the past 20 years. Sensory has enabled hundreds of products with speech recognition by companies such as Ecobee, Huawei, Garmin, GoPro, Motorola, Plantronics, Samsung, Sony, and many, many others. Mr. Mozer hold over 20 patents issued in speech technology and related fields, and holds an MBA from Stanford University. Frank Ploumen leads the Calix Premises Product Line. With 20 years’ experience in the industry, Frank specializes in creating new business with innovative technology products. Previously, he was responsible for IoT Application & Platform strategy and the introduction of Video Analytics technology at Nokia. Frank successfully introduced U-verse IPTV into AT&T and was the lead architect for Alcatel DSL products. He holds an MsEE specializing in DSP & Telecom and started his career at Bell Labs. Eric Qian works in Ericsson's Business Innovation group as the Head of Strategic Focus Areas. He is passionate about technology and has about 20 years of experience in the areas of IoT, analytics, AR/VR, edge computing and telecom network management. He has launched an end-to-end, from device to cloud, IoT product that provides a user centric approach to manage all connected consumer IoT devices through co-innovation with strategic customers. He also has been working on leveraging AR/VR and Artificial Intelligence to improve the service quality of complex telecom network while lower the operating cost. Recently, he is working on distributed computer vision capability at the mobile network edge to enable future AR/VR applications. He holds a Master of Science degree in Software Engineering from the University of Texas at Austin. Peter Radsliff, VP, Marketing, Prodea Systems, Inc.
Peter is responsible for all aspects of Prodea System's worldwide marketing strategy. He previously held executive leadership, marketing, and product management positions at a number of consumer products companies at the vanguard of connected products, including: Presto Services, Candi Controls, Mirra, Sage Systems and Monster Products. In all, Peter has served as CEO or VP at seven venture-backed startups. He holds three patents and has taught undergraduate and graduate design courses at San Francisco State University's Dept. of Design & Industry where he received his B.A. and completed his graduate coursework. Mr. Shoop has served as a Senior Director of Product Innovation for TiVo since 2016 and has been with the company since 2009. He previously served as a Director of International Product Management from 2011 until 2016, where he was responsible for defining TiVo’s product strategy and business plan for international partners. Prior to that, he served as an Engineering Program Manager from 2009 until 2011, where he was responsible for bringing multiple TiVo products and services to international markets. Before joining TiVo, Mr. Shoop held a number of product and program positions including Director of Program Management for ZillionTV Corp and Head of Product Management for Thomson Inc. in Singapore. Mr. Shoop holds a Master of Science degree in industrial management and a Bachelor of Science degree in electrical engineering technology from Northern Illinois University. He also holds an Associate of Applied Science degree in electronics engineering technology from College of Lake County. Zach is the founder and CEO of Particle, the most widely used IoT platform making it easier to build, connect and manage internet-connected hardware products deployed at massive scale. Zach launched Particle on Kickstarter in 2013 with the vision of making the Internet of Things easy and accessible. Particle's tools are used by 50,000 engineers in more than 100 countries and are being used by many Fortune 500 companies to develop and manage fleets of new IoT products. Particle has been featured in Wired, Engadget, TechCrunch, the Discovery Channel, and many other publications and was listed as one of Fast Company's Most Innovative Companies of 2015. Zach has spoken as an authority on the Internet of Things at prominent events such as OSCON, Solid, Web Summit, GMIC, and Launch. Zach earned an MBA from the Kellogg School of Management and an MEM (masters in engineering management) from the McCormick School of Engineering at Northwestern. Before Particle, Zach worked as a management consultant with McKinsey & Company, advising Fortune 500 companies on strategy, operations, and product development. He is a graduate of HAX, the world's first and most prolific hardware accelerator. Tim Westman is the Marketing Director for Intel’s Smart Home Group. In this role, he leads the strategy, roadmap planning, product management and customer engagement for Intel’s hardware and software solutions for the Smart Home. Previously Tim was Marketing Director for Intel’s Consumer Desktop group, and prior to joining Intel he served as the Vice President of Operations for Grid Logic, a material science company developing structured nanocomposite materials and advanced manufacturing systems. Tim has over 25 years of experience in various sales and marketing leadership roles in the technology industry. At University of Michigan, where he earned a degree in electrical engineering, Tim was a member of the Michigan Marching Band Drumline. Leon leads product management for the Consumer Solutions business at Flex, a leading sketch-to-scaleâ„¢ solutions company that designs and builds intelligent and IoT products for a connected world. His experience spans the entire product life cycle, from strategy through retail. He has held business leadership positions in technology startups and innovative Fortune 500 companies (e.g. Xerox PARC), on both the consumer and B2B sides. Before business school at Harvard, he held engineering leadership positions at several startups, where he earned 6 US patents and applied his electrical engineering skills gained from UC Berkeley. Since 2011, Leon has been an active member of the deal sourcing and due diligence committee of the Harvard Business School Alumni Angels. Trusource Labs, an Everise company, is a full-service contact center & BPO outsourced solutions provider. TSL provides the right people, technology, & processes for innovative companies in the Enterprise, Consumer Technology, Smart Home & IoT Software & Hardware verticals. TSL improves your your brand via superior customer experiences. TSL’s focus is to avoid the need for an end user to directly contact us by providing a full suite of self-help tools including knowledge bases, community/social support, FAQs, and other technologies. TSL works closely with product engineering teams to provide them Systematic Insights – data that points out early field failure analysis so improvements will be built into the product. Headquartered in Austin, TX, the company was founded in 2013 and today has 500 employees in Austin and Limerick Ireland. In December 2018, TSL was acquired by Everise, a family of companies focused on disrupting and elevating the delivery of customer experiences globally. With our sister companies, we now have ready access to Artificial Intelligence, an Asian language center in Kuala Lumpur and centers in Manilla, Guatemala City, and seven US locations. With over 7,000 employees, Everise and TSL enjoy the capabilities and footprint to handle all our clients’ support and service needs.